Your enduring legacy will ensure a more informed, connected and educated community. By including KLRU in your estate plans, you’ll be supporting immediate program needs and fostering the long-term financial health and growth of the station’s endowment. Your lasting contribution will both safeguard the legacy of Austin’s only community-supported public television, and help you achieve your personal, financial, and estate planning goals. The easiest way to provide a legacy gift is by designating KLRU as a beneficiary. Whether it is a life insurance policy, an IRA or another account, making a change by indicating KLRU as a new beneficiary is simple and easy. You have choices as to how you name KLRU as a beneficiary in your will. Through a bequest, you may leave a specific dollar amount, percentage of your estate or all or a percentage of your residuary estate. "I give [$ ] [ % of my estate] [the residue of my estate] [ % of the residue of my estate] to Capital of Texas Public Telecommunications Council, Inc., a Texas nonprofit corporation located in Austin, Texas, for its general support (or support of a specific purpose or program)." "If at any time, in the judgement of the Board of Directors of Capital of Texas Public Telecommunication Council, Inc. it is no longer practicable to use the income or principal of the bequest for the purpose stated herein, I authorize them to use the income or principal for any purpose they deem to be consistent with such purpose." Charitable Remainder Trusts (CTR) are a way to provide income for you or a loved one and a future gift for KLRU. There are several types available. Contact your financial advisor to discuss creating a Trust for KLRU. They are passed along to heirs at a time when those family members are able to use the assets to best advantage. Including KLRU in your Estate Plan? "My sister was a very intelligent woman who passed away unexpectedly and prematurely after a short illness. One of the most intelligent things she did was her Estate Planning. Her Estate was divided between eleven family members and eleven charities...and the majority of her Estate was distributed roughly a year ago. I have yet to receive a call from any family member or charity to do anything other than to thank me. 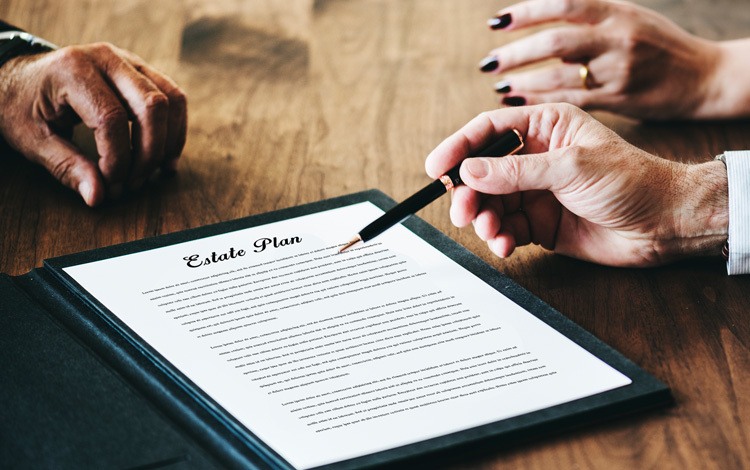 Precise estate planning eliminates interpretation, as well as misunderstandings, at a very emotional time. A judge once told me that legal fees spent on the front end greatly reduce legal fees spent on the backend. I have come to realize that also applies to estate planning as well."